This year Australian Munitions (ADI Powders and Australian Outback) were lucky to be invited to attend the Sika Show at the Great Lake Centre, Taupo with Steve’s Wholesale. The annual Sika Show & Competition is the largest outdoor trade show of its kind in New Zealand. More than 5000 hunters visit the show each year for the competitions, taxidermy, and the latest innovations in hunting and outdoor-related products and services. Steve and his crew were great hosts and the weekend was a huge success and a lot of fun! Thank you to everyone who came and bought our Outback ammo and ADI propellants, and to those who came to say hi and learn more about our new propellant factory. 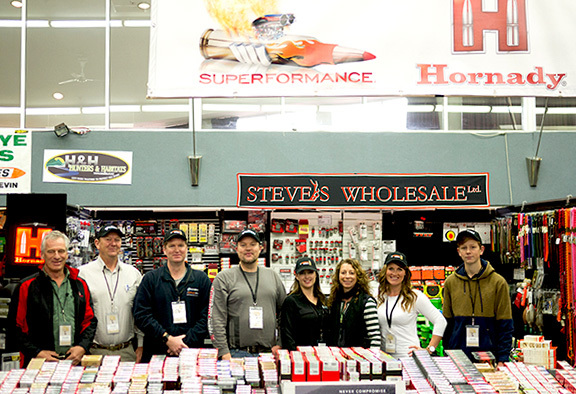 It was a fantastic weekend and we look forward to partnering with Steve’s Wholesale again for the next Sika Show.